The Convention People’s Party (CPP) National Chair and Leader- Hon Samia Yaba Nkrumah had told a packed CPP faithful that it makes no politically and economic sense for Ghana to sign up to the Economic Partnership Agreements with Europe because currently, we lack the industrial might to compete with the EU. And that if CPP is voted to power on 7th December 2016, it will demonstrate in early days in government what makes CPP fundamentally different from other political parties in Ghana. 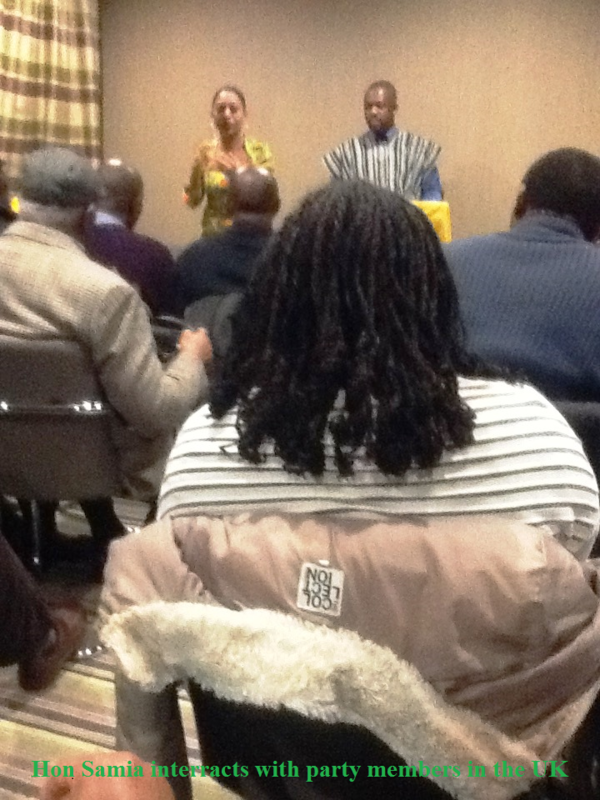 Ms Samia had said at a conference room at Holiday Inn, Westfield Stratford City, Stratford, London, that notwithstanding the Nkrumahists’ family infighting and the seemingly broken home, political and ideological betrayals and persistent electoral humiliations, the CPP is lucky that it could hold her head up with pride because the party which on 06 March 1957, won independence for Ghana, has an ideology and vision to fall on. So for the sake of unity, internal ideological rivalries must be allowed to flourish. On the question of modernizing the CPP’s political strategy as raised by a Ugandan visitor who attempted to imply that the CPP must not be seen holding on to history and past glories attained by its founding-father- Osagyfo Dr Kwame Nkrumah, the CPP’s National Chair and Leader, responded on Sunday, 22 February 2015 at the Holiday Inn Conference Room where the CPP convocation took place that the party is not outmoded in principle and that the unresolved problems such as education and training, energy crisis, youth unemployment in the days of the CPP of old, still persist. So the CPP is continuing from where the Osagyefo left because the goal of the Nkrumah development plan is not fully implemented. To most Nkrumahists, the current free education and youth policy is not new to the CPP. 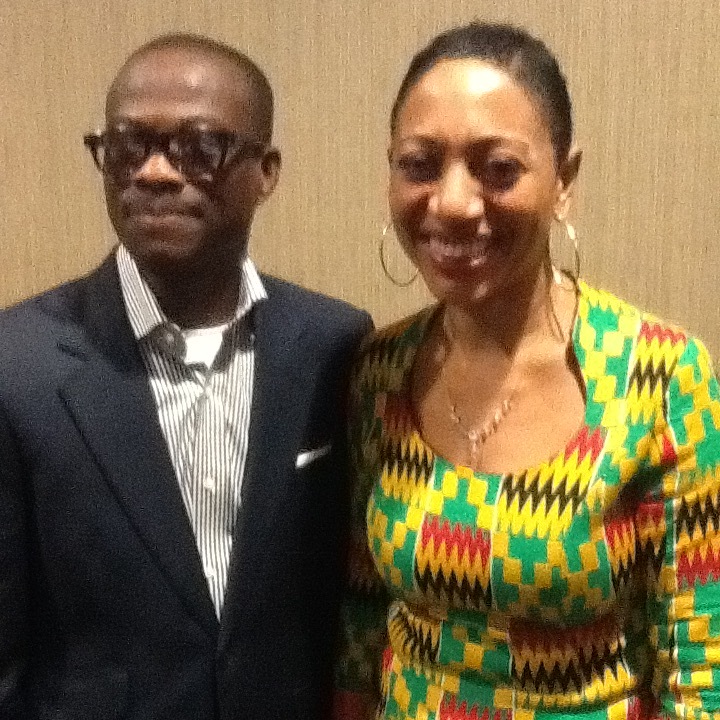 Samia argued that Ghana has persistently followed the same unproductive economic and financial path dictated by the IMF/World Bank which is why for example, the successive Ghanaian Governments had been unable to invest much into education and training and job creation for the people in the country. Touching on the potential adverse effects on the debate over genetically modified food (GMO) and the EPAs, Samia reiterated her repeated position that the GMO will alter the traditional seedling make-up in Africa and said the Europeans are where they are today because they also employed “protectionist strategies” for their industries so Ghana must first, start building a base that enables it to compete fairly. Responding to the question of homosexuality and its legality in the country, Samia who highlighted that she is not a “dictator” as it is being peddled when it comes to consensus building, hinted that the CPP will always listen to what the vast majority of Ghanaian societies are saying- which as it appears, is No. So the CPP, she seemed to suggest- “should proceed in this area on the basis of the societal decision. She was quick however, to counsel her audience especially CPP folks that they must concentrate on what is happening and affecting Ghana today- corruption and the dumsors rather than the homo issue. On the question of whether CPP shares the NPP’s cry for “a new voters’ register”, Samia sought to indicate that she is personally a victim to electoral improprieties in the 2012 elections. And that at one point she asked herself at one of the polling stations in her Jomoro Constituency, whether those perpetrating such voting fraud, knew who she was or cared less about her presence. The CPP Chair and Party Leader conceded that the CPP knew something went wrong in that election. But CPP sensed that it lacked the crucial evidence or was difficult to resort to the courts. She informed that currently, CPP has a representative on the intended reforms and thinks that 2016 would not be as she witnessed in 2012. She accordingly, counseled her party loyalists, to be vigilant as more recently, they did in the by-election in the Kumbungu Constituency, where she was personally present during the final lap in the campaign. In that by-election, the CPP Amadu Moses Yahaya, won the seat, following the departure of then incumbent- Alhaji Muhammed Mumuni, who by virtue of his international appointment, had to vacate the seat as required by law. In that election which the New Patriotic Party (NPP) failed to contest, Mr Yahaya garnered 13,029, representing 51% of the total votes cast, triumphing over his closest challenger, Alhaji Imoro Yakubu Kakpagu of the ruling NDC, who secured 11,896, representing 47.28% of the total votes cast. The sole CPP MP has resolved to join the Majority NDC for parliamentary business. It appears that this decision on the part of Hon Yahaya is linked to ideological considerations. But Samia had said at the CPP party conference that ideologically, people ought not to be confused CPP with the NDC and here, to tag the NDC as part of the Nkrumahist families? On Samia’s January 2012 travel with President J.E.A. Mills to Ethiopia, where her dad was honoured, not forgetting the NDC’s domestic policy of declaring Dr Nkrumah as a sole founder of Ghana, which had been [mis]construed as NDC’s demonstrated Nkrumahist leanings or a “PR gimmick”, Samia had no much time for a comment. On the CPP historical party headquarters which was confiscated following the overthrow of CPP by the said National Liberation Council (NLC), on the 24th day of February 1966 and is currently, being used as Ministry of Information, Samia said that the party- especially, the CPP Youth wing, is considering a practical steps to demonstrate its stated intent in wanting to reclaim the party’s property, acquired by itself and that the leadership is also employing every diplomatic means to resolve the political seizer. And if the government of Ghana fails to heed to its plea, the CPP will not hesitate to resort to a legal suit. The CPP’s Convocation that started at 1700hrs, on the 3rd Floor of the Holiday Inn, came to a close at 2100hrs, with a strong hint from an “old CPP Guard” who claims that he was once a secretary to the then Director of Builders’ Brigade that come 07 January 2017, CPP will be at the Jubilee Flagstaff House. That aside the CPP finally closed the curtains with emergency financial contributions- committing itself to an effective communication strategy- establishment of a newspaper, newsmagazine and a radio station, poised to highlight human-centred policy intents to win the 2016 general elections and to end what one CPP contributing member describes as a repetitive party-national security apparatus which continues to deny the country a true national security. In June 2014, Mr Hayford Akrofi- once a UK resident and Vice Chairman of the Convention People’s Party, U K Chapter, was mysteriously shot dead in what is described as an alleged robbery attack at his home at Asofan/Ofankor, a suburb of Accra.